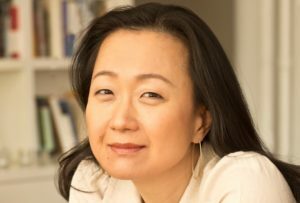 Since it came out in February 2017, Min Jin Lee’s historical novel “Pachinko” — which tracks the lives of four generations of a Korean family displaced to Japan — has become a best-seller, been named a finalist for the National Book Award for fiction, and been listed as of the “Top Ten Books of the Year” by the New York Times. It is only Lee’s second book in several decades, which she says is intentional. I quit being a lawyer to write full-time in 1995. Each morning, I’d get up early to pack my husband’s lunch, and after he’d left for work, I’d drink coffee and read the newspapers, then try to write fiction. My work was awful. Then, not long after, I learned that Willa Cather read the Bible before writing. How bizarre, I thought. Cather did not strike me as a Christian writer, and rarely are there Bible references in her stories. That said, from Shakespeare down to the great Western writers throughout the twentieth century, the Bible has served as a critical source of literary inspiration, so I figured, Why not? My work couldn’t get any worse. I wanted a new writing routine, and because Bible reading seemed so odd to me, I decided to try it. Well, to this day, I start my workday by reading a chapter of the Bible. After I read it and study the annotations, I jot down a verse or two I find interesting in a notebook. After this, I write. I work six days a week, and I write whenever I can. Life has a lot of interruptions, unfortunately. That’s the same for everybody, and I’ve accepted that I’m not fast. When I first came to America in 1976, I didn’t know any English. I was 7 years old. Gradually, I figured out how to read and write by studying borrowed books from the Elmhurst Public Library. Among the first books I loved were the “regional” books by Lois Lenski. Her most famous book is probably the Newberry Medal–winning “Strawberry Girl.” As a child, I read almost everything Lenski wrote. Not much later, I read and loved Maud Hart Lovelace’s “Betsy-Tacy” books, which were illustrated by Lenski. I wouldn’t have been able to articulate it at the time, but Lenski’s interest in different kinds of Americans spoke to me. To a city kid, people living and working on farms, for example, seemed very exotic. 3. What is something you’ve seen, watched, or read that you think is overlooked and deserves more attention? The American author Sinclair Lewis (1885-1951) wrote “Main Street,” “Babbitt,” “Arrowsmith,” “Dodsworth,” and “It Can’t Happen Here,” among many other brilliant works. His books are no longer widely read now, and they deserve closer attention. Lewis was a big thinker — smart and incisive in his portrayals of middle-class white Americans. I’m deeply interested in history and sociology, and I think that to better understand traditional American values as they are transformed — and as Americans resist and reflect upon such changes — Lewis should be read along with [William] Faulkner, [John] Dos Passos, [Theodore] Dreiser, Sherwood Anderson, [Ernest] Hemingway, and [F. Scott] Fitzgerald. These writers understood their communities and their moral codes, and through them I learned a great deal about America and people who were not fully like me. Lewis wrote masterfully about money, class, ambition, power, privilege, and exclusion in America. The best advice I ever got was to “choose the important over the urgent.” The gist of this wisdom is that nearly all things that seem urgent now are in fact not terribly important. In the end, most of our anxieties are neither essential nor lasting. I think this advice applies to life as well as to writing. I have published two novels in 22 years, and I have tried very hard to focus on things that matter most to me — craft and themes — rather than focusing on the things that seem pressing at the time. There’s an awful lot of noise and static, and it takes painful effort to listen for things that have timeless value. In 1989, when I was in college, I went to a lecture where an American missionary told a story of a 13-year-old Korean-Japanese boy being bullied. That story affected me, but I didn’t know what to do with it. When I quit being a lawyer in 1995, I wrote my first novel manuscript, “Revival of the Senses,” which was rejected everywhere. Then in 1996, I decided to write the novel “Motherland,” which was about the Korean-Japanese people. I worked on it for seven years, and “Motherland” turned out to be terrible. I gave up on it and started another book, which ended up being “Free Food for Millionaires,” my first published novel. A few months after its publication in 2007, I moved to Japan because my husband got a job there. Once I was in Asia, I started to interview the Korean-Japanese people, known as the Zainichi, and I realized that I needed to rethink “Motherland” because the Korean-Japanese people did not see themselves as historical victims. Not at all. Rather, they saw themselves as ordinary people caught in the straits of history; they wanted to have regular lives and to be treated fairly. Above all, they wanted to be both good Japanese and good Koreans. 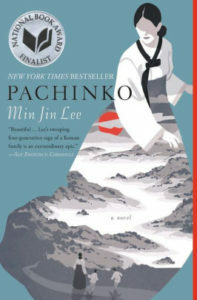 So I discarded “Motherland” and wrote a whole new manuscript, and this became “Pachinko.” I knew the book was done after I wrote the choices of the last generation. I wanted to value the lives of the Korean-Japanese and their decision to make a permanent home in Japan.